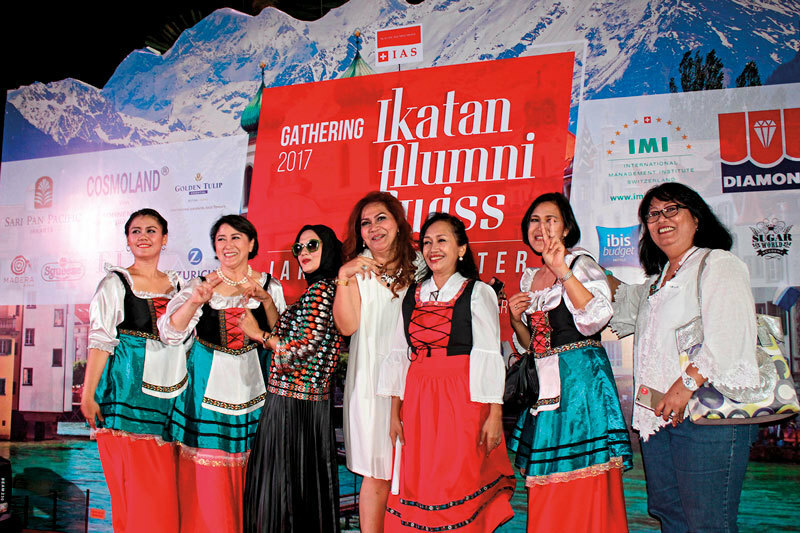 The Ikatan Alumni Swiss (IAS) was formally established in November 2010 and developed from a series of informal gatherings by a small group of friends who had studied or worked in Switzerland. Over time, as the network expanded and more people joined, these get-togethers led to creating a formal group. NOW! Jakarta spoke to Svetlana K. Gerungan, Chairwoman of IAS Indonesia, about the group’s main activities and the strong bond between the two countries. How many members do you currently have, and what are your main activities? We currently have around 150 members spreading out across 4 different Chapters, Jakarta, Bandung, Bali and Surabaya/Malang. Our main mission at present is to grow the community through gatherings, both formal and informal, as well as other activities. 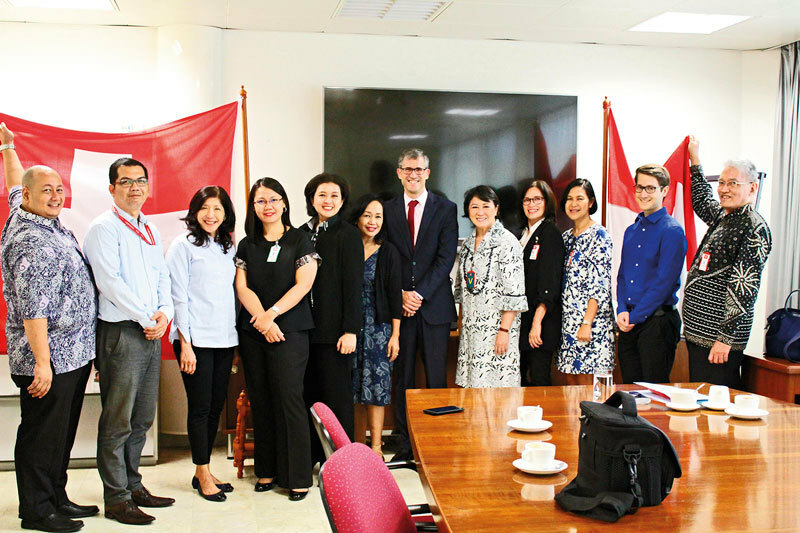 At the same time we are also reaching out to members of the Swiss community living and working here in Indonesia, as well as Swiss companies operating here, to build relations at both a personal and a business level. Our hope is that we can serve as a bridge between our two peoples, helping to promote Swiss culture, work and educational opportunities to the Indonesian community, and vice versa for the Swiss community. Would you say the number is growing? Are Indonesians more interested to study and work in Switzerland? I am positive that the number will grow. 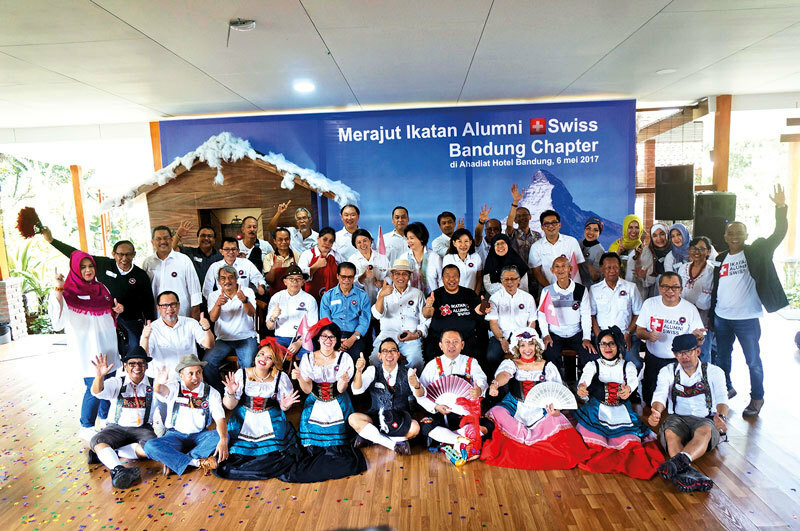 We are still in the process of gathering data and reaching out to Swiss Alumni who are not yet members of the Ikatan Alumni Swiss. We hosted an event on August 26 in Jakarta, and the number of people who attended was far beyond our expectation. We are planning to have another event in Bali on November 4-5, 2017 and look forward to reach Swiss Alumnis in Bali and other places in Indonesia. Switzerland has always been a country of dreams. Although not necessarily the primary destination when travelling to Europe, Indonesians certainly pick it as a secondary destination because of the natural attractions, the beautiful sceneries, the lakes and mountains. They might even indulge in winter sports if they happen to be there at the right time. To study or work in Switzerland is more difficult these days compared to “then” as the government’s imposed regulations have become stricter. What do you think attracts Indonesians to go to Switzerland? What fields do they generally work in, or what subjects do they study? For many Indonesians, Switzerland is known for its precision technology, from watches to turbines, as well as for its incredible dairy and chocolate industries, and perhaps most prominently for its hospitality industry. Many Indonesians study hotel management in Switzerland, mainly due to the support from both governments to promote cooperation in this field. Indonesians working in Switzerland, or the Indonesia Diaspora, tend to work in the hotel or restaurant industries. You also have Indonesians working in the various UN agencies and other international organizations based in Switzerland, as well as diplomats and local staffs at the Indonesian Embassy in Bern or the Permanent Mission of the Republic of Indonesia to the United Nations in Geneva. What are your personal ties to Switzerland? What are your main responsibilities as Chairwoman of IAS? It had always been my personal dream to be able to visit Europe since my childhood. Fortunately, my late father worked for a company which had business with a Swiss company, and that was how I got to know Switzerland. I had the opportunity to study at Institut International de Jeunes Filles La Chatelainie in St. Blaise, Neuchatel. Upon completion, I moved to England and came back in January 1978 to work for the Permanent Mission of the Republic of Indonesia to the United Nations in Geneva. I returned to Jakarta in 1982 and kept in touch with friends who were also back in Indonesia to pursue other interests. My main responsibilities as Chairwoman are to ensure that the organization runs smoothly, as well as monitoring and keeping track with the self-sustaining programmes already set out for all the Chapters.